everydaymatters: Would You Eat This? Joshua would, and did. 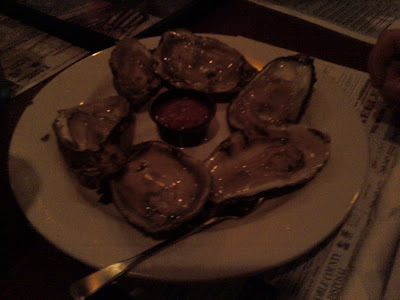 After our late night boat ride we went to a local restaurant and Josh and JoElyn got oysters on a half shell. Raw. Ew, not raw. I'd eat them steamed. I haven't tried raw, it skeeves me out to much. bleh. This Is Why God Made Curtains. Attack of the Giant Nutella!